Instead of a bright red or pink outfit, I decided to go for a more feminine, romantic look for Valentine's Day this year. 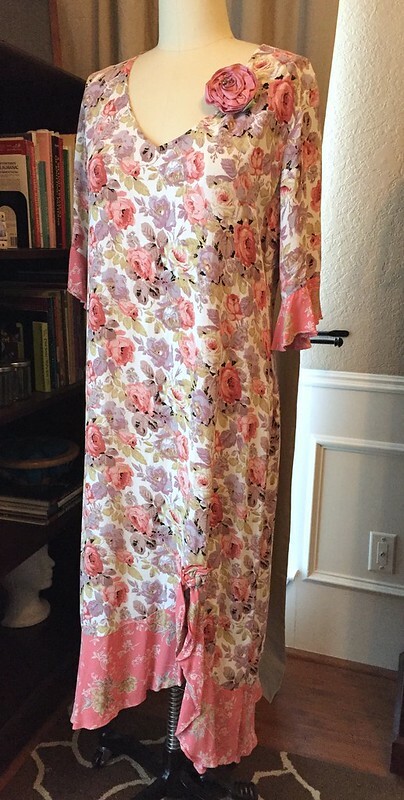 As luck would have it, a friend had given me this lovely floral dress a few months ago. Add to that a bit of lace from a pale pink piece of lingerie from my heavier days, and I've got just the thing for this weekend's holiday! 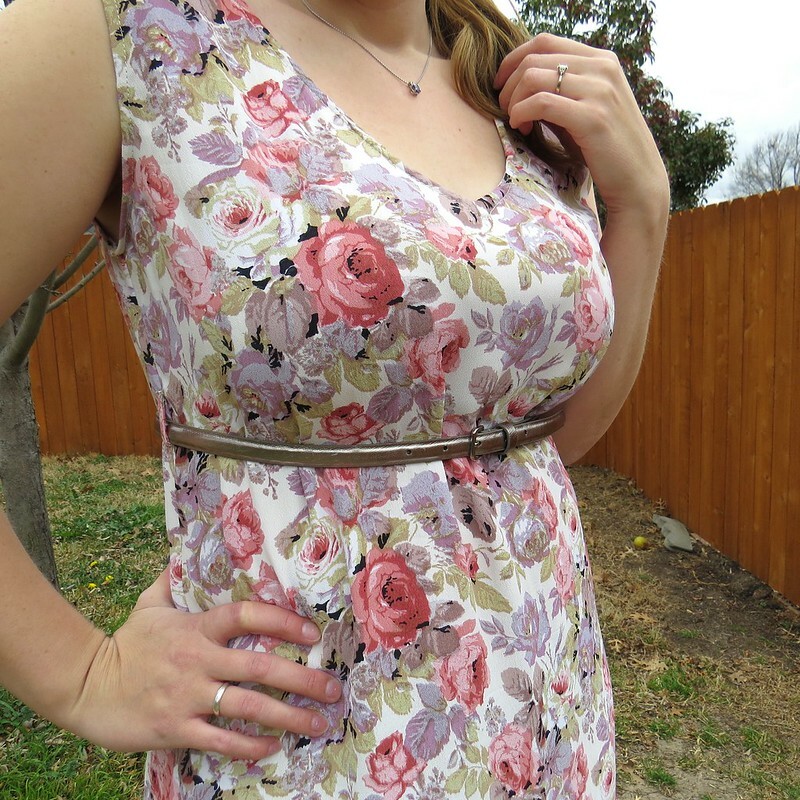 I removed the rosettes, sleeves, and ruffles from the dress. I took in the sides, finished the raw edges, and added a couple little belt loops. 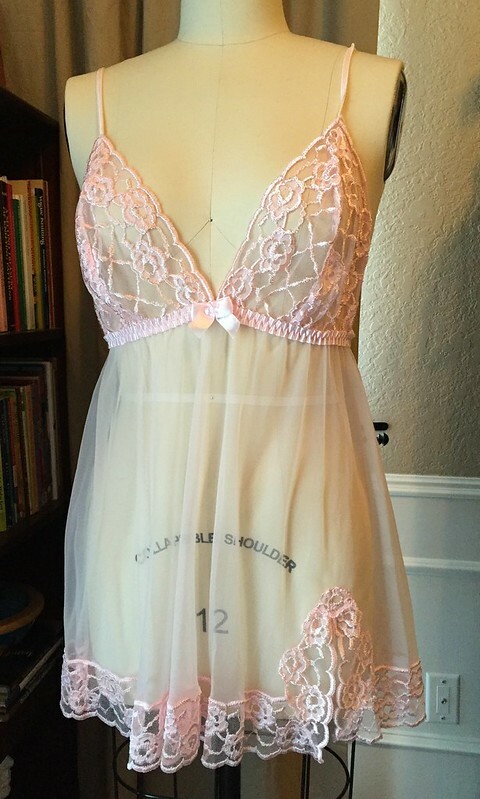 Then, I removed the lace border from my delicates and attached it to the bottom of the dress. 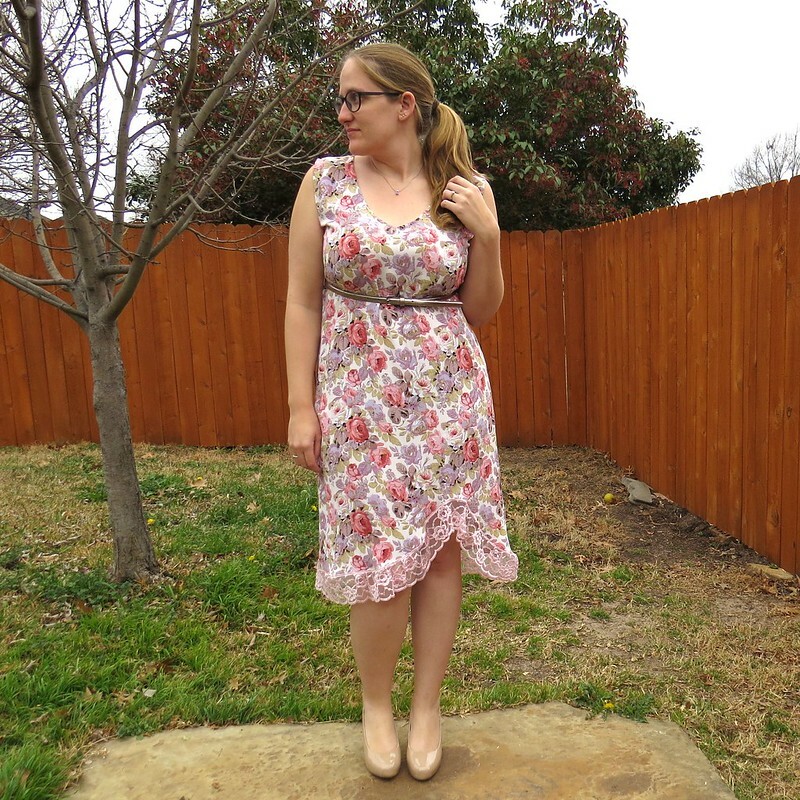 It's been a cloudy, dreary day, but this fun new dress has breathed a little more life into it! For the entire process, visit me at CarissaKnits! Oh wow! That is beautiful!! I looove how you used the lace on the bottom!!! 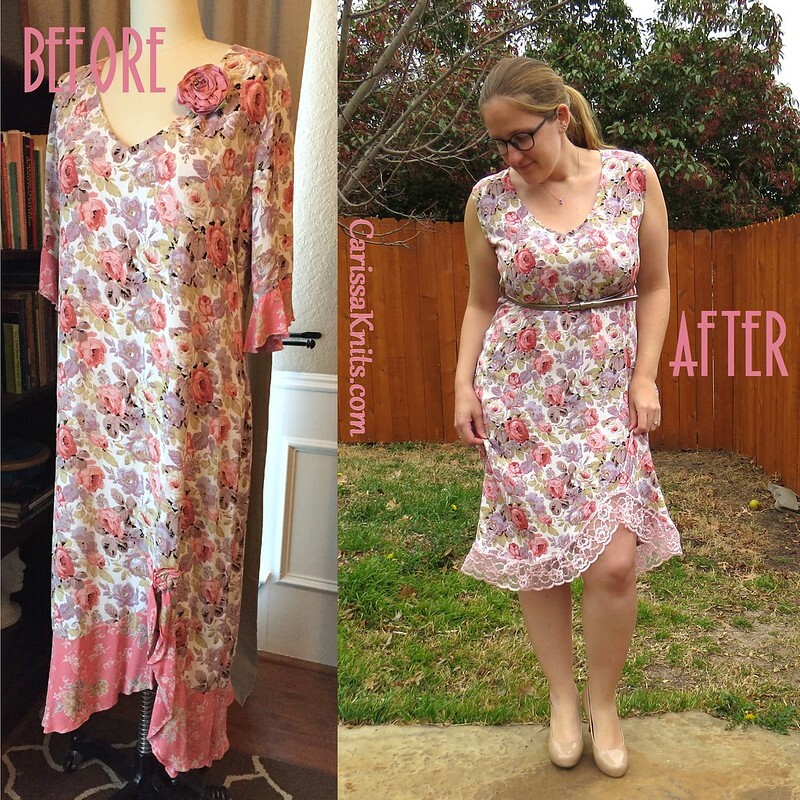 Love your refashion I am curious what brand the dress was originally would love to find one on ebay for a tea dress.